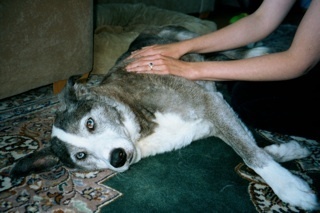 Even pets can benefit of Reiki treatments and generally they like Reiki very much. Being directly connected with the energies of the universe and the nature of Reiki, you can wonderfully welcome with excellent results. The procedures are the same than with people. It is possibly change the size, in fact, dogs and cats are smaller, so the positions will be reduced as a number. The ideal would be to use them for a treatment REIKI instinctively driven rather than expect to rules and classical positions slowly covering the head, organs back, belly (if you can) process them towards the end of treatment when our dog or cat has calmed down. For young dogs or cats it is recommended to reduce the time, as you do for the children and a minute to location is okay. An other mode might be to keep a hand on his head and your other hand on his chest, moving the latter from the back, to the liver and spleen, for a total of a quarter of an hour. And keeping your other hand (no matter right or left) on the forehead. This treatment modality Reiki relaxes loved our dog or our cat livelier than usually well accommodates the energy of Reiki. Obviously Reiki can also be used on other animals, as small as hamsters or canaries, if possible keeping them in our hands, otherwise sending Reiki at close range, for 5 minutes. Same thing for big animals. The horses are very fond of receiving Reiki. Due to the large size of the positions, you can reduce the essentials treatment , placing your hands for 5 minutes for each position. We do not need to worry: the Reiki , being “universal life energy” is increasingly directely from the one where there is more need. REIKI can also be very beneficial for the fishes by sending REIKI to the aquarium water for 5 -10 minutes simply by laying you hands on the glass of the aquarium. 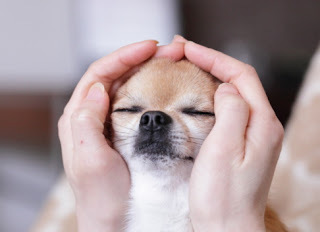 To practice Reiki treatments for pets is essential to have received the first level of Reiki.